We were enjoying dinner last night with friends in Svirče when the earth moved and rumbled for the second time this week! 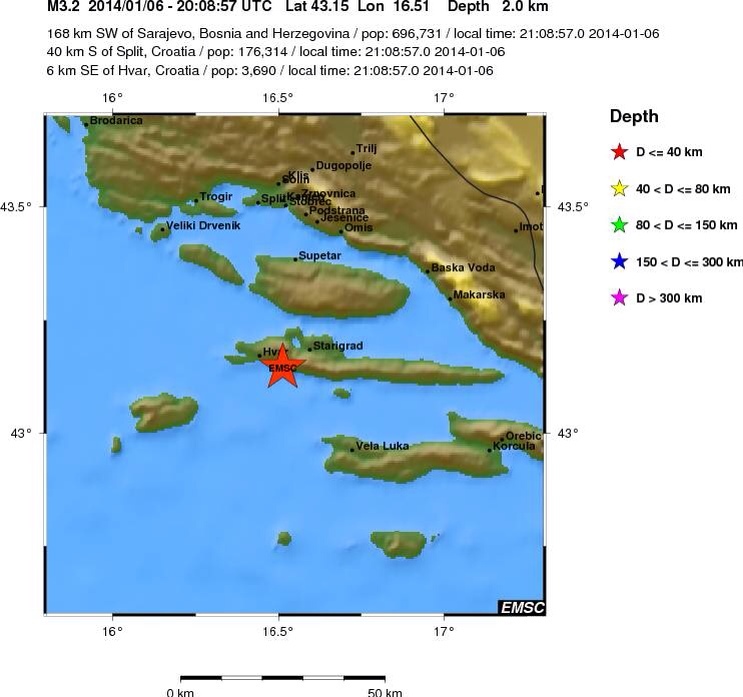 A quick check online found a recent 3.2 with epicentre off the Pelješac peninsula. No, really, that can’t be what we felt. This was much closer, surely? I was too quick, and a new event soon appeared in the Brač channel to the north-east of us. That seemed more likely. But by the morning, the event was shown as being on island 6km to the east of Jelsa. By this afternoon the story has changed again, and now look at the map! Did someone not know the difference between Hvar and Jelsa? Last night’s earthquake is now shown as 6km east of Hvar town, which is in line with reports from there of slightly stronger shaking than we experienced. We’re still talking very minor event, though. I’m sure most people never even noticed it!